The flip side of all the long lessons, numb noses, and hard landings in figure skating is … the ice show. the Countryside mall rink recently. 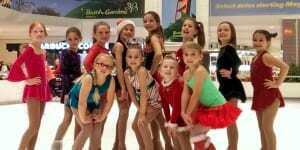 Christmas On Ice show through Friday. “What I like about it most is smiling, skating, dancing and acting funny,” says 7-year-old Talia Deka, one of a dozen young TBSA skaters, ages 7 to 11, who were chosen by Sha’ Non McManus to be little elves in the show. and Lilianna enjoy a sleigh ride during the show. 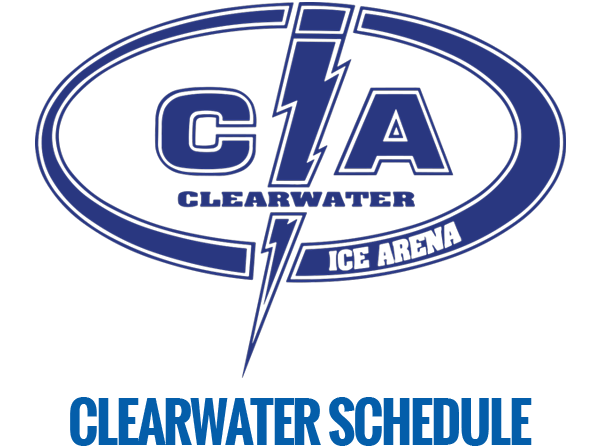 The 25-minute show, which features world-class skaters, runs until Friday, Jan. 3, 2014. There are two to three shows per day during the week with more shows on the weekend. 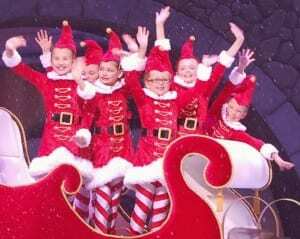 Each young skater performs three days a week, taking turns to be one of six elves in the new choreographed show. Talia, who’s been skating since she was 2 years old but only recently renewed her love for the sport, enjoys performing on the ice. 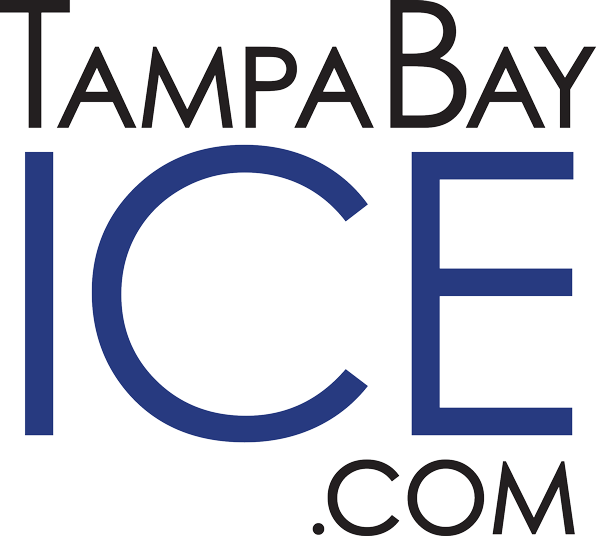 McManus, who also is the skating director at TBSA Countryside mall, has been a scout for about five years for the Advanced Entertainment Group, Inc., which contracts with Busch Gardens to perform the ice show at the Moroccan Palace Theater. Brooke, left, and Nicole having fun during the show. 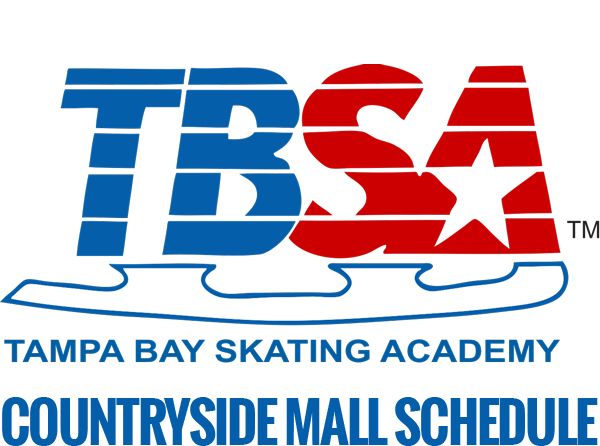 Each of the 15 young girls who are in the show have at least two to three years of figure skating experience. It’s important they know when to be at certain spots on stage, referred to as tracks. And that’s probably because they really enjoy what they’re doing. So be sure to visit Busch Gardens this week and go see our Oldsmar and Countryside skaters perform their hearts out through Friday. 1. Nicole Tutak, 11, has skated for about seven years. This is her second year in the Christmas On Ice show. She loves to perform and she hopes skating in shows will be in her future. 2. Jessica Sheynin, 11, has skated for five years. This is her first year in the show. She loves to see the audience smiling and enjoying the show. Allie dancing it up on the ice. 3. Allie White, 10, has skated for five years. 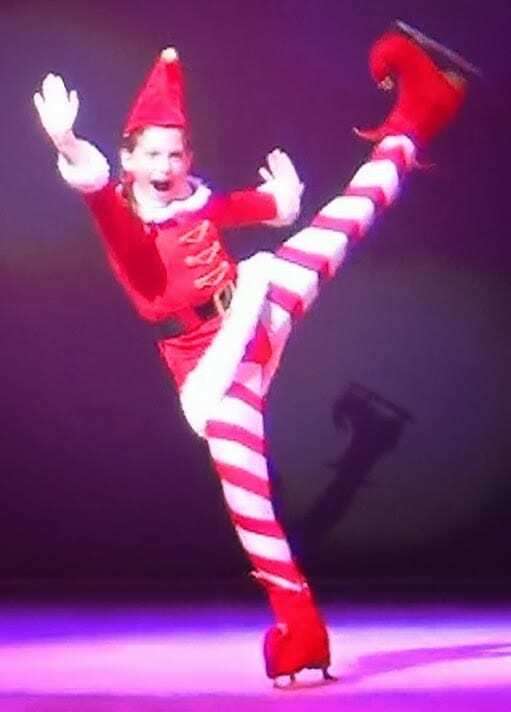 This is her fourth year in the holiday show. She loves performing and making sure the audience is having a good time. She’s the only girl to play the role of “Austin” in Busch Gardens year-round Iceplorations show, which starts Jan. 14, 2014. She doesn’t skate in the year-round show but is the lead child actress. 4. Emily Carr, 10, has skated for three years. Her favorite part about participating in the holiday performance is watching the audience enjoy the show. 5. Basia Wasiak, 10, has skated for four years. This is her first year in the show. She says every part of the performance is exciting. 6. Lizzie Gogola, 9, has skated for six years. Her first year in the show, she loves playing the part of the saxophone girl and she loves the snow on stage. 7. Brooke Ribble, 9, has skated for three years. Her favorite part is having fun with friends while skating. 8. Jenny Sheynin, 9, has skated for five years. This is her second year skating in the show. She says she loves being a part of the show and loves the cast members and everyone who works backstage. 9. Lilianna Murray, 8, has skated for three years. 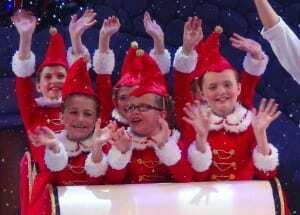 This is her second year performing in the show. Her favorite part is being with her friends and helping the jugglers with their props during the show. 10. Claudia Amis, 8, has skated for three years. She loves performing in front of the audience and she enjoys the “meet and greet” after the show. Front row, l to r, Jadyn, Lizzie, and Brooke. Back row, l to r, Allie, Emily L., and Emily C.
11. Jadyn White, 7, has skated for two years. This is her first year in the show and she is excited to join her sister, Allie, on stage. She loves to perform and show her “attitude” on stage. 12. 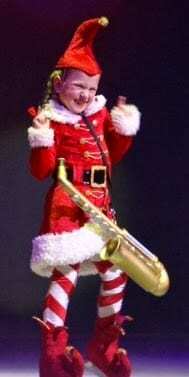 Talia Deka, 7, loves to entertain the audience. This is her first year in the holiday performance and she enjoys making up her own dance moves during the show. 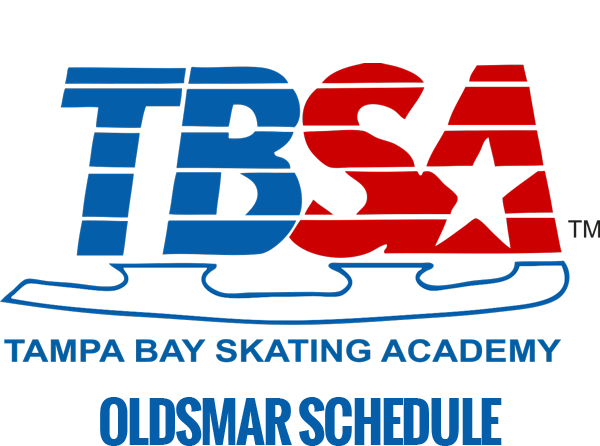 One skater from Brandon, Lauren Lampien, and two skaters from Clearwater, Angie Volkin and Emily Lowry, also perform in the show. Park hours for this week are 9 a.m. to 9 p.m. Monday, Dec., 30. On Tuesday, New Year’s Eve, the park hours are 9 a.m. to 1 a.m. And on Wednesday, New Year’s Day, through Friday, Jan. 3, 2014, the hours are 9 a.m. to 7 p.m.